Earthadelic thrives on turnkey landscaping and construction projects, like this lakefront transformation. 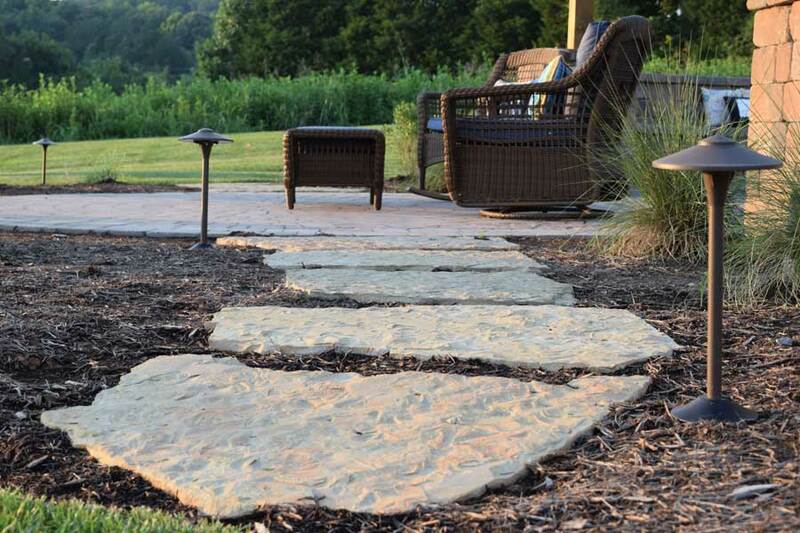 Earthadelic's team crafted a thoughtful landscape design that takes into consideration night and day, as well as all four seasons. 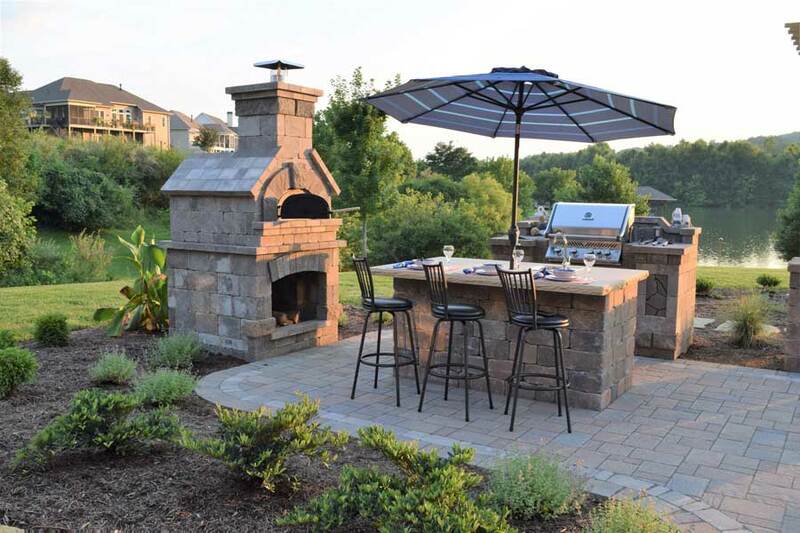 Anchored by an outdoor kitchen and dining space, and accented with landscape lighting, a water feature, a fire pit, and pergola, this backyard oasis can be used throughout the day, and the entire year! 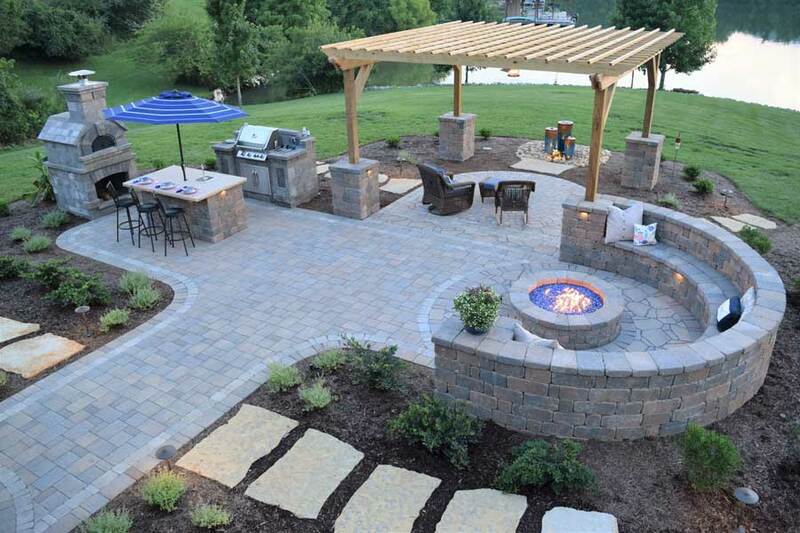 The landscape design was created with year round entertainment in mind and the ability to accommodate a large amount of guests with adequate seating and conversational space. Watch an animated 3D video of the design. A Chicago brick pizza oven and built-in gas grill were incorporated to be able to cook a variety of meals. The natural stone island allows enough space to chat with guests, prepare a meal, and dine at the bar top. It also has a functional storage area underneath. 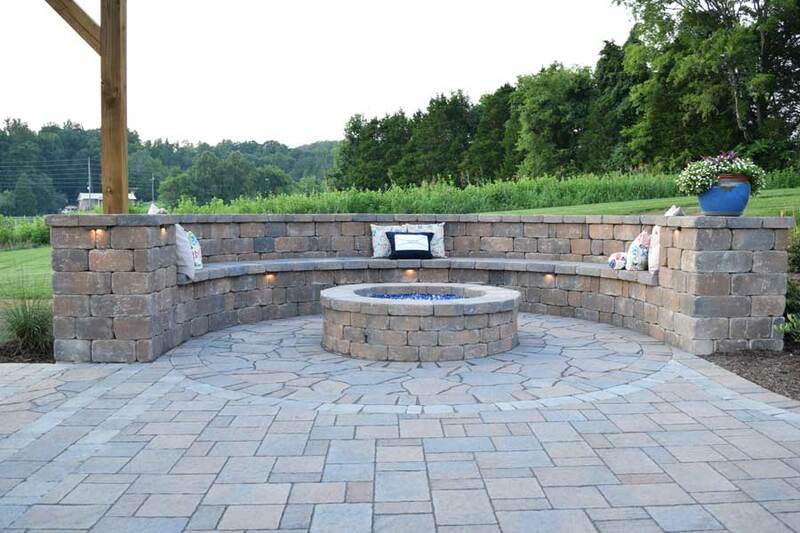 The gas fire pit is a warm gathering place that creates instant heat. 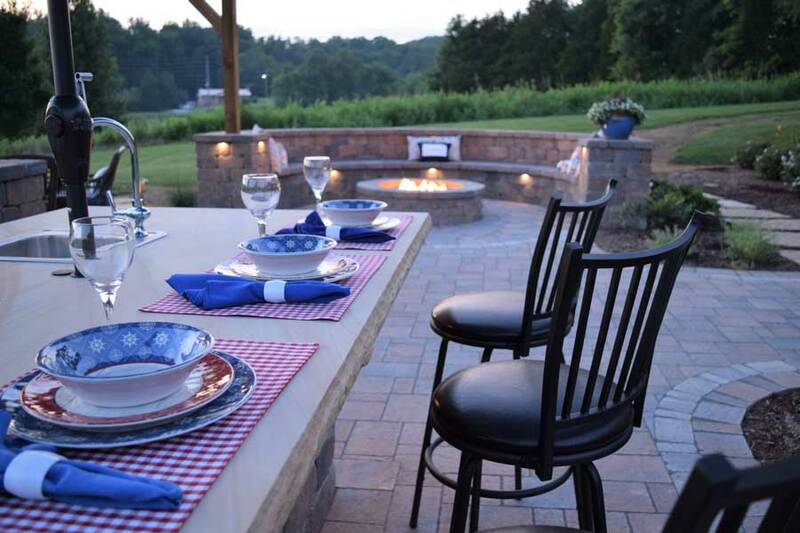 The seating area can accommodate eight people and the crushed blue rock in the fire pit creates a beautiful blue tint at sunset. 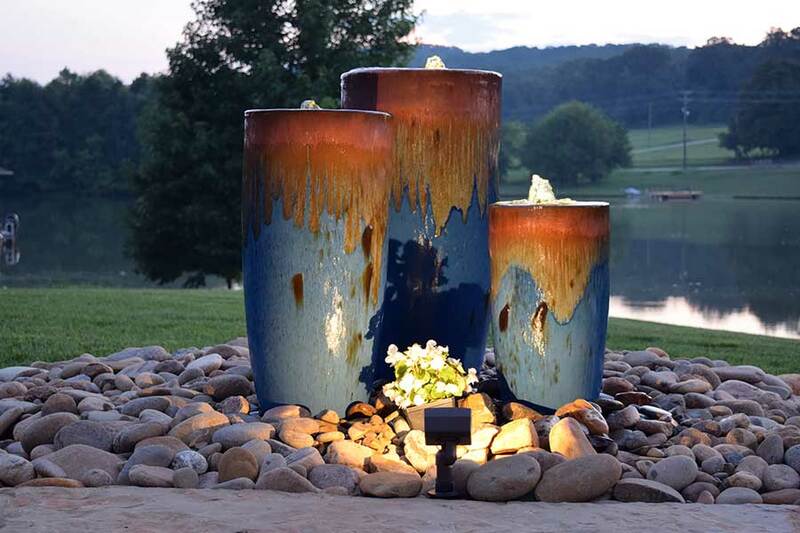 The detailed placement of the landscape lights highlights the walkways, plants, and water feature. This low-maintenance, pondless water feature is aesthetically pleasing and serves as a focal point for this project. The soothing sound effect is beyond relaxing for the resting area under the pergola. Low voltage, LED lighting was installed to create an inviting illumination as well. Earthadelic planted new shrubs, bushes, and plants to complement the new hardscape, pavers, and stone steps. Sod was also installed in the surrounding project area.